Check out our new video in our About Trades section of website. Watch them all. Check out our new video About Trades - Plumbing Apprentice. Just 1 in a series of new videos apprenticesearch.com has produced for you to view and hopefully learn from. KITCHENER — Ben Wagner bought himself a new remote-controlled mini-monster truck. That’s how the 34-year-old Hespeler man celebrated winning the United Association’s international apprenticeship competition for plumbing last week in Ann Arbor, Mich.
It’s a Savage X red-and-grey gas-powered demon. “It’ll do 70 kilometres-an-hour,” Wagner beamed. That’s about how quickly Wagner’s dad Doug – a retired Guelph plumber – sped toward his son on his riding mower last Friday when Ben delivered the news to his parents at their Rockwood home. In June, Wagner won the national title in Toronto. Nearly 25% of the lost-time injuries in construction are related to the back. More than half of these injuries result from lifting excessive weight or lifting incorrectly. Correct posture is not an erect, military pose. It means maintaining the naturally occurring curves in your spine. You have two inward curves – at the neck and low back – and one outward curve at the upper back. Keeping your spine aligned in this manner reduces everyday stresses on your back and minimizes the effects of the normal aging process on the spine. When working in a crouched, bent, or stooping position for a prolonged period, take regular breaks by standing up and bending backwards three times. Check out our new video About Trades - Chef Apprentice. Just 1 in a series of new videos apprenticesearch.com has produced for you to view and hopefully learn from. Sunset Speedway always has spectacular racing. The track surface is great for side by side racing. The apprenticesearch.com car usually runs well at Sunset. It was Fan Appreciation night this time around. Hero cards and about 2500 bubble gums later we were ready to race. The racing action was very close, cars everywhere on the track. This is where the "Piggy Back" title come into play. I was passing the 38 car when he turned left on the front straightaway to put a block on our car. I kept my foot into the gas pedal, I thought I had enough room and also thought he would move up the track a little. I was wrong and our tires touched. The next thing I know, I am on top of his car looking into the sky. My hands were knocked off the steering wheel and I was along for the ride. We went really far down the track, 38 has a good motor under the hood. I was hard on the brakes, but we just could not get separated. Until the next corner when we turned left again. Some how we both had only minor damage, finished the race and made it out for the feature. My crew of Tex, Jason, Mikey, Jim, and some other race team members Joel and Kenny had the car patched up and ready to go in about an hour. Out for the feature and the car was perfect. We tried as hard as we could, but the top 3 cars were all the same speed, no mistakes were made and we looked like a train the whole race. It was a fun night and a great 3rd place finish. Second in Ontario Pra Challenge Points and 3rd in Pro Challenge National points. Shaping up to be another successfull year. Varney is next, lets hope for a better result than last years race. Flamboro Speedway has always been a special place for the apprenticesearch.com race team. This past race was a perfect night for us. A Grisdale Late model triple crown event was shared with our Pro Challenge cars. In front of a packed grandstand, pit area and a jammed VIP suite we started our heat race in last place. The line up is set based on feature finishing avaerages. So far this season we have the best average, so we start at the rear of the field. This is tough as we are in 2nd place in the points, yet the driver we are chasing starts ahead of us. We wasted no time in the heat and needed to gain some valuable points. A quick jump on lap #2 put us into 2nd place and a lap later we took the lead. We faced a very slippery track, due the hot weather and all the extra late models. Taking the heat win was a big effort that we are proud of. We lined up in 6th position for the feature. After several fast laps our car became better in the turns. Small adjustments after the heat really paid off. We passed all the drivers and took the lead before lap 10. We had to keep a close eye on the field behind us, but the car was just great. Probably the best car I have ever driven at Flamboro. We won the big 30 lap feature and had a huge celebration after. Thanks to All my crew for their support and encouragement. I would not be able to challenge for wins without thier hard work. Sunset is next and hopefully another great weekend. More than half of scaffold accidents in Ontario construction are falls. Several fatalities are also related to scaffolds each year. The number and severity of injuries involved make scaffold accidents one of the more serious safety problems in construction. • moving rolling scaffolds with workers on the platform. From 15 to 20% of scaffold-related injuries involve erecting and dismantling. The most common problem is the failure to provide an adequate working platform for a worker to use when installing the next lift of scaffold. Working from one or two planks is not recommended. The next important consideration involves components, such as tie-ins, which you should install as the assembly progresses. Failure to do so makes the scaffold less stable and, while it may not topple, it may sway or move enough to knock someone off the platform. This happens more often when platforms are only one or two planks wide and guardrails are missing, as is frequently the case during erection and dismantling. Another one of our new videos from the About Trades series. Watch them all. Check out our new video About Trades - Mould Maker Apprentice. Just 1 in a series of new videos apprenticesearch.com has produced for you to view and hopefully learn from. Ron Johnson is chair of the board of governors at the new Ontario College of Trades. Reasonable people can disagree on how and by whom the OCOT should be funded — this is precisely why there’s been an open consultation process on such matters from the get-go — but the important role it will play should hardly be in dispute. Simply put, the OCOT is a North American first that will benefit skilled tradespeople and the general public as consumers. The OCOT is the professional college for Ontario’s 500,000 skilled tradespeople. When operational, it will be the first College of Trades in North America and the largest professional college in Ontario. It will put Ontario’s skilled tradespeople on an equal footing with doctors, nurses and teachers by giving them a professional college of their own. It will give Ontario’s skilled tradespeople a voice in important public policy debates and empower them to shape the future paths of their industries. Perhaps equally important, the OCOT will also benefit consumers. Part of its mandate is an investigatory and disciplinary function for complaints. As such, it will serve as a means for consumers to hold unscrupulous contractors to account for shoddy craftsmanship, whereas they might currently be prevented from doing so through more costly and cumbersome legal alternatives. In light of this function, it becomes easier to understand why certain construction contractors might be opposed to the OCOT. The OCOT will also be charged with the crucially important task of attracting and recruiting the next generation of Ontario’s skilled tradespeople. 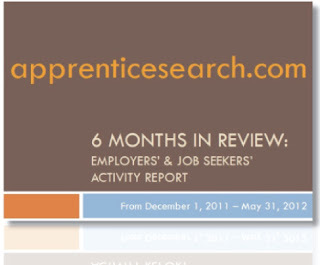 If you are not registered on apprenticesearch.com to create a profile and upload your resume click here. If you already havea a profile sign in and apply here to these and many other positions.